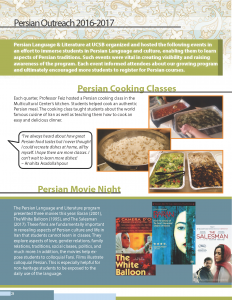 Aazam Feiz teaches courses in Persian Language and Literature at UCSB. She has a BA in English translation from Allameh University, an MA in Linguistics from Modarres University in Tehran, and a PhD in Linguistics from the University of Florida, in Gainesville, where her dissertation received the Distinguished Threadgill Award. She also obtained a certificate in Second Language Acquisition and Teaching (SLAT) from the University of Florida. 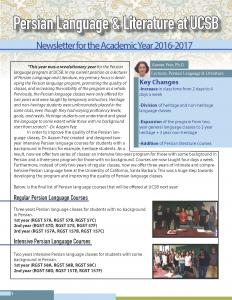 She is an ACTFL OPI Tester of Persian with Limited Certification. 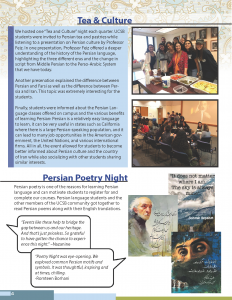 Previously she taught Persian courses it the Department of Linguistics at University of Illinois at Urbana-Champaign, where she was appointed as Director of Persian Studies. 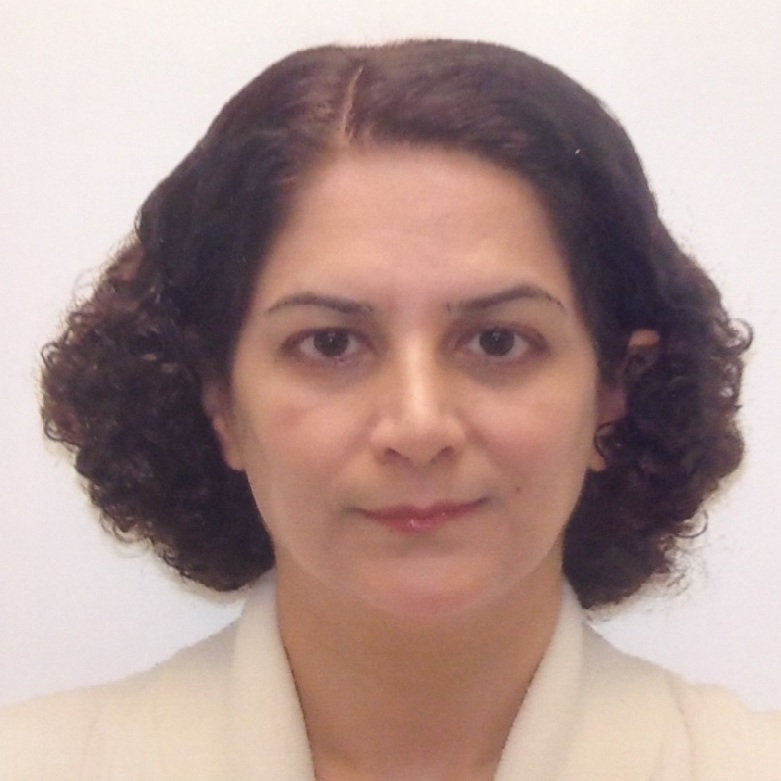 Her research focuses on Structures of Persian Language, Psycho-linguistics, and Second Language Acquisition. Her interest in the field of Psycho-linguistics is in language processing, eye tracking, and subject-verb agreement. 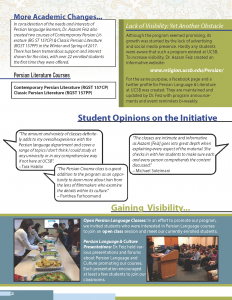 Her current project in Second Language Acquisition is developing a textbook for teaching Persian language. 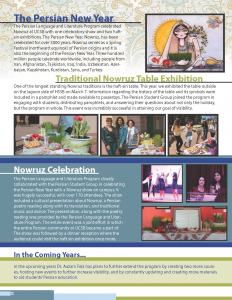 She was awarded a grant from US Department of Education Undergraduate International Studies and Foreign Languages for this project.